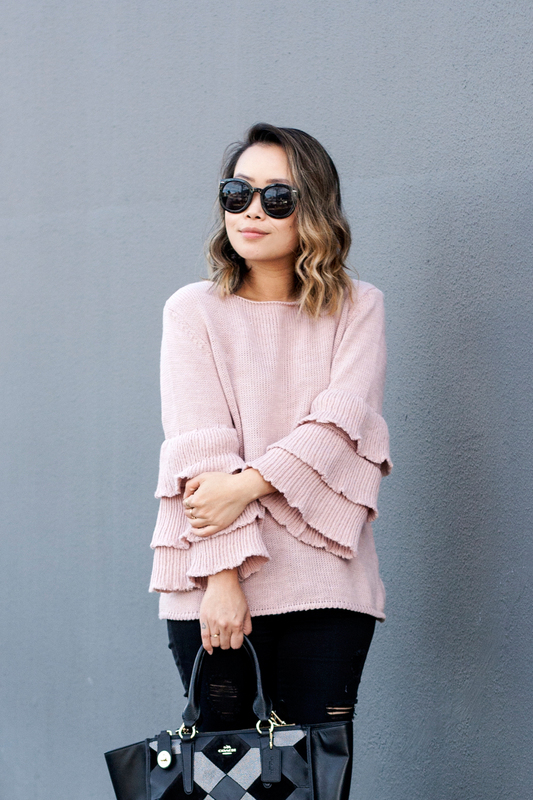 Ruffles are still going strong and I am still not over this trend yet. 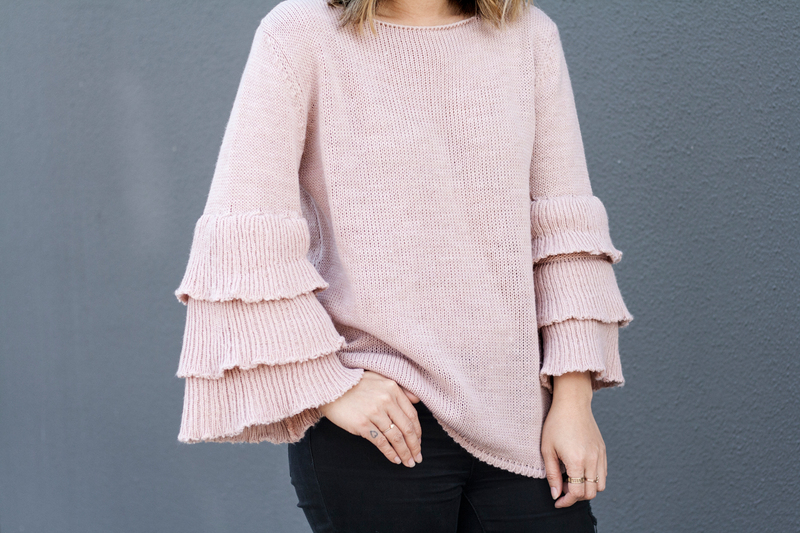 It simply makes dressing up ten times easier, especially when you want to throw a top and a pair of jeans on in the morning when you are rushing out the door! 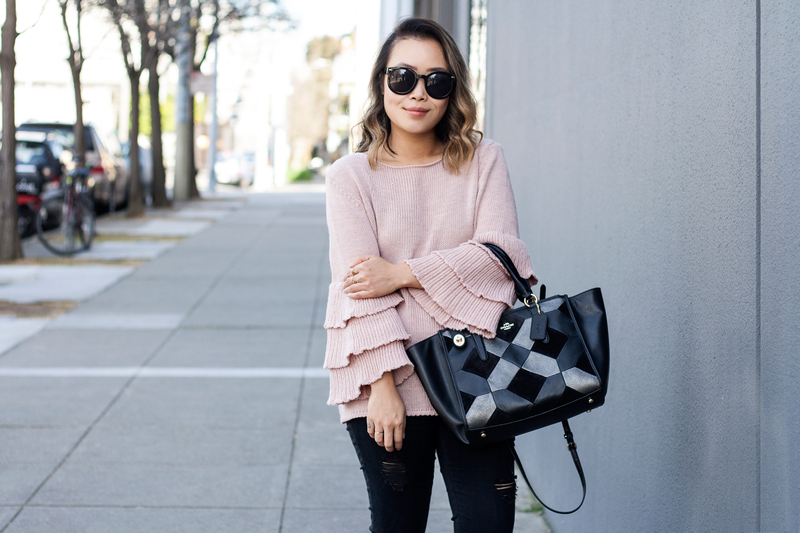 I love this pink sweater with ruffle sleeves, paired with black ripped jeans, Coach patchwork leather bag, and floral embroidered mules with faux fur lining. On a different note, I am so excited that today is Friday. In fact, it is a long weekend for me as I am flying out to spend the weekend in Portland tomorrow! Can't wait! 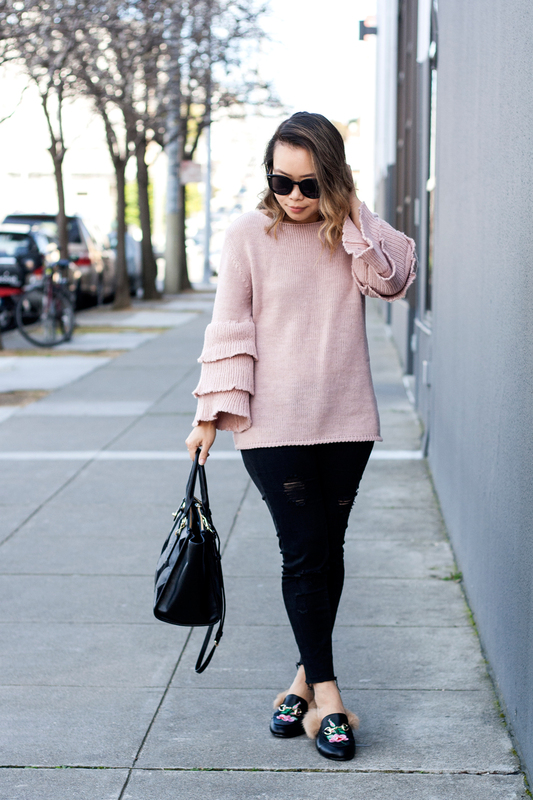 Pink ruffles sleeve sweater from Boohoo. Black ripped jeans from PacSun. Leather patchwork satchel handbag by Coach. 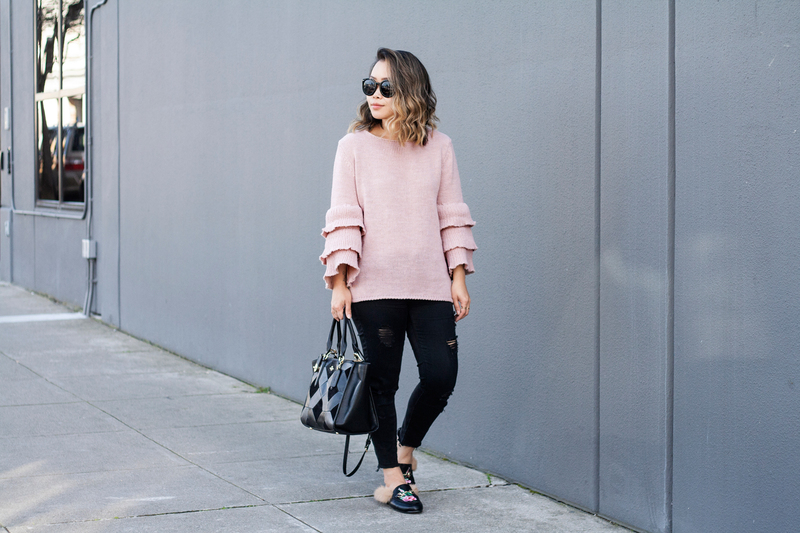 Floral embroidered mules from SheIn. 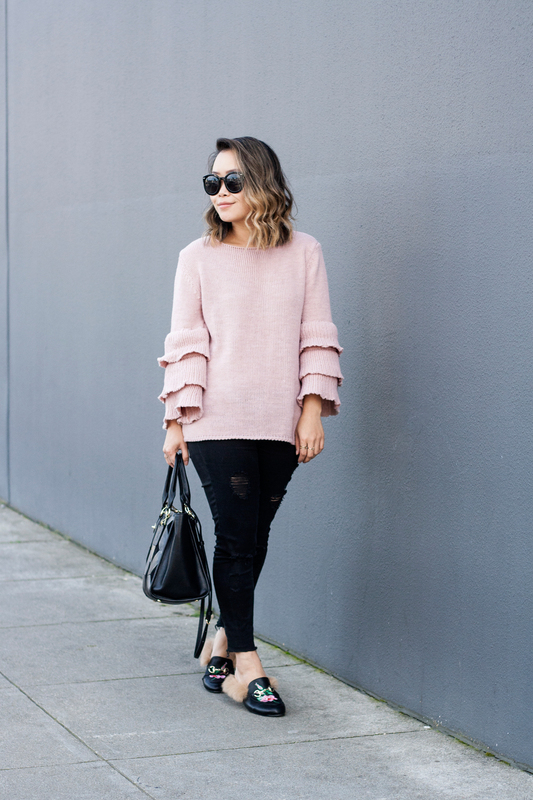 Simple yet chic. Your loafers look so much like the gucci. I got mines from Forever21 and you can hardly tell the difference. Im in love with them.